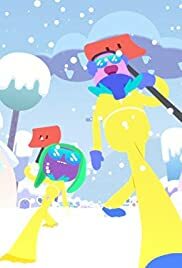 Snow Day: Gluko and Lennon offer to shovel Townopolis after a massive snowstorm, but are frozen solid before they can finish. They emerge from the ice in a future where high-waisted pants have taken over, and must find a way to go back in time to prevent the pants' oppressive reign. Rootin' for Change: While Gluko preps for his pickling license exam, Lennon struggles with a changing friend.